As the title states I'm looking to purchase an Alpina emblem that will go on my shift knob. The plastic is cracked on mine. I'd rather not buy a whole new shift knob and the one I have now has separated from the plastic inside, so it should be easy to remove and replace provided I can find a replacement and then I can epoxy the whole thing back together. Testdriver got my 6sp Alpina crest from Germany, perhaps you can ask him. If not, I do see those knobs on ebay.co.uk and ebay.de on a pretty regular basis. 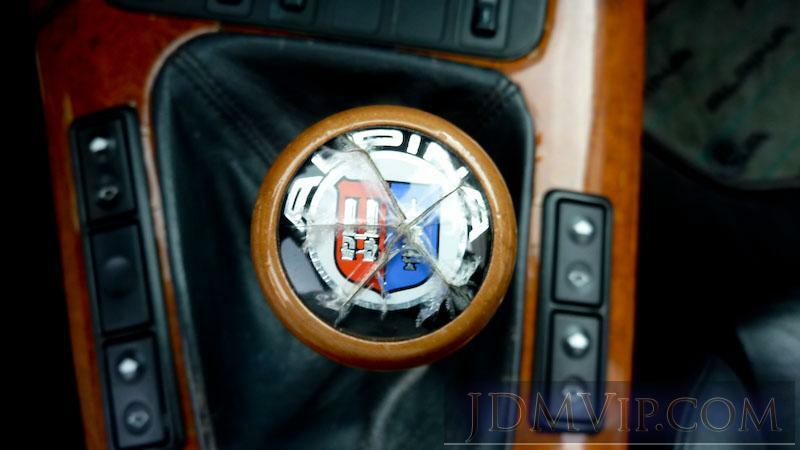 Alpina can replace that - it costs about 10 Euros (IIRC), but you have to send them the knob to repair. Hmmm...no new shift knobs...That could be annoying. I think I'd have to go through KSK in the US to get mine fixed and so far their prices seem crazy. You'll still need to negociate shipping out of Germany. Last edited by roadster-s; 03-03-2013 at 06:47 PM. My shift knob looks a whole lot like yours (ie. the emblem is cracked all to hell). It seems that these shift knobs aren't replaceable anymore (at least according to KSK, I do have friends living in Europe if anybody has a source over there to suggest?). I can restore/refinish the wood just fine, but I need a new (plexiglass?) emblem. Did you manage to get yours fixed? If so, where/how? I also noticed the post about sending it to Alpina for repair... should I contact them directly (ie. through their German site)? Or do I have do go through KSK since I'm in North America? Nope, I haven't got it fixed, so it still looks like crap. I've got a number of other things that need priority over this one now. I didn't know that they weren't making them anymore, but I noticed that the replacement ones have a different colour of wood anyway which sort of defeats the whole point of replacing it IMO. This is why I want to just replace the emblem on the top.